Est. 1946. You will fall in love with this South City charmer the minute you pull up to the curb. 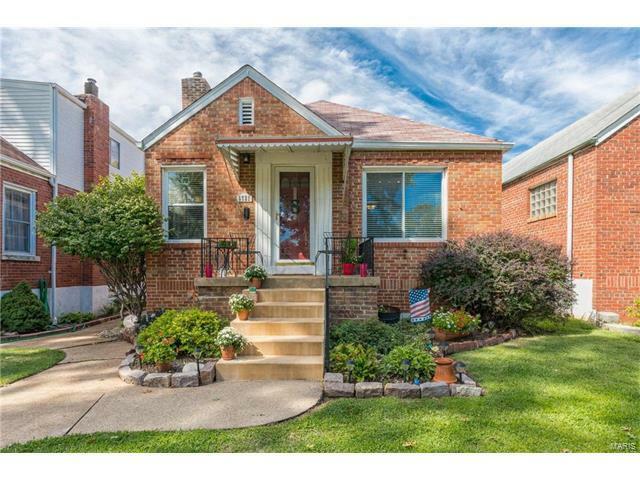 This beautiful 3 bed, 2 bath, 1.5 story all brick home has great curb appeal and an even better location! You will love the large living room that opens to the dining room featuring gleaming hard wood floors. The hard wood continues into the 2 bright main floor bedrooms. A full bathroom and eat-in kitchen round out the first level. The upper level features a third bedroom, half bath, and large storage area that could be finished for additional living space. The lower level is finished with a large rec room, laundry area, and plenty of additional storage. The level fenced yard is perfect for summer barbeques! Many updates including a new plumbing stack, energy efficient windows, new tuckpointing and more. Close to Tilles park, many amazing restaurants, shopping and only 10 minutes from downtown. Close by October to make sure you don’t miss the neighborhood chili cook-off!